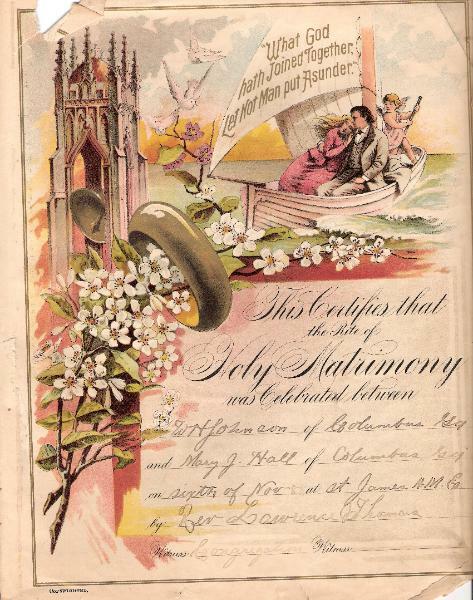 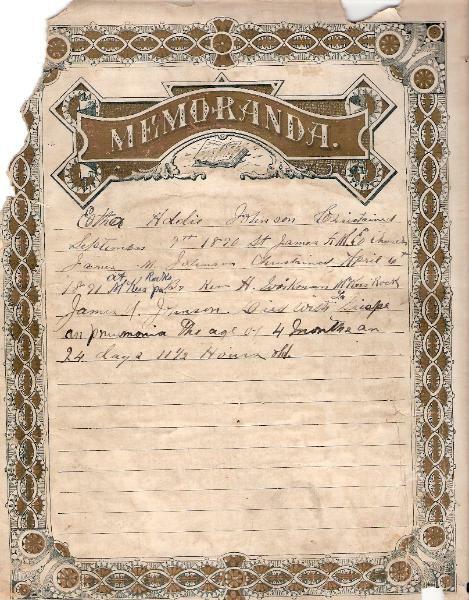 Holy Bible in English; no publishing info, circa 1880.
missing. 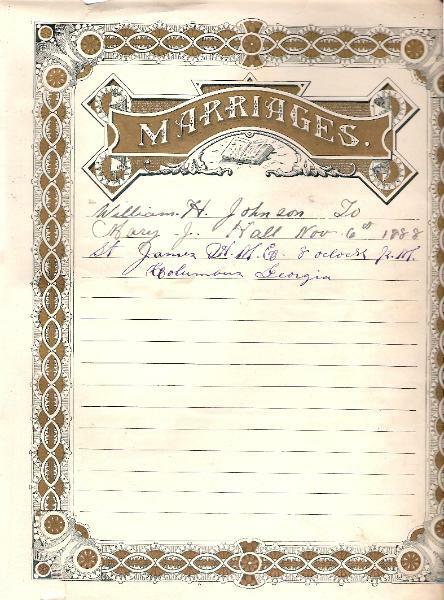 The Family Register pages are present. 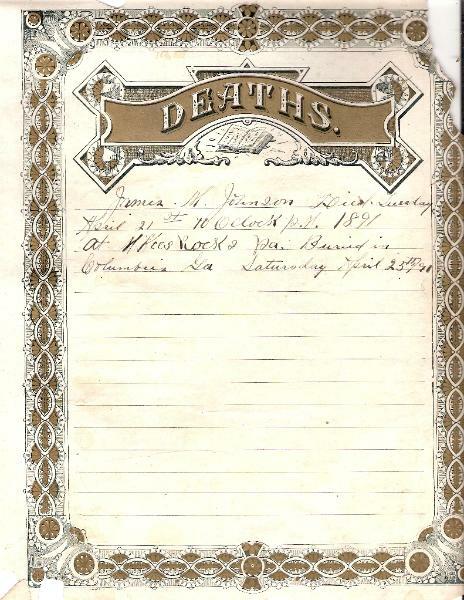 James M. Johnson Born Nov 27th 1890 McKees Rocks Alleghanny county Pa Between 9 & 10 Oclock A.M.
Annie Lee Johnson Born January 25th 1892 6 O.Clock A.M Pittsburgh Pa #185 Devillier St Cor Enoch. 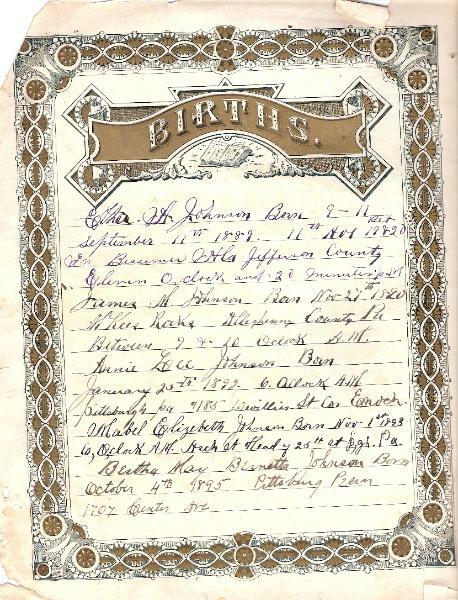 Mabel Elizabeth Johnson Born Nov 1st 1893 6,O,Clock A.M. Arch st Head of 25th st P,gh Pa.
James M. Johnson Died with La Grippe an pnuemonia the age of 4 months an 24 days 11½ Hours old.